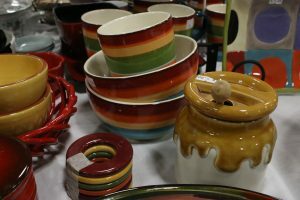 We are very excited to begin the countdown to our 42nd Annual Garage & Estate Sale, taking place November 2-5, 2017 at Palmer Events Center. 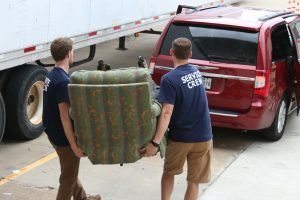 One of the things that makes the annual Sale a special event is our Giving for Living program, an initiative of The Settlement Home that helps the clients of other Central Texas nonprofits. The Giving for Living program provides participating nonprofits with $25 gift certificates for The Garage & Estate Sale. These nonprofits give the certificates to their clients who need them most, and their clients shop at The Sale on Sunday. 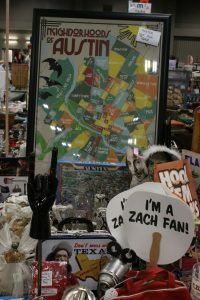 Because it is the last day of The Sale, we often mark merchandise down to half-price, which allows Giving for Living certificates to bring even more value. With almost 50 nonprofits and 67 additional individual participants served through the program in 2016, we are pleased to share some of their experiences. 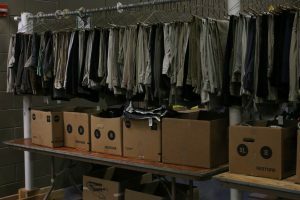 “[Dress for Success clients] were able to get items they need for their homes — and clothing also! 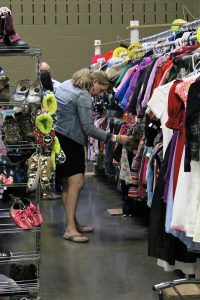 They had fun there, too, and it’s something they can do as a group to socialize with each other,” said Mia Johns, Program and Volunteer Manager at Dress for Success Austin. She said her clients, disadvantaged women working for economic independence, enjoyed looking at everything at The Sale. 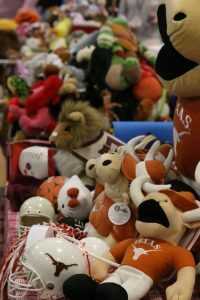 “I know for my students, many of them were seniors shopping The Sale to get things they need for college,” said Marissa Rivera, Wellness Counselor at LASA High School in Austin ISD. Marissa said that the children who shopped at The Sale enjoyed it. “Shopping The Sale with the vouchers gave the kids a sense of agency, and those kids are usually the ones who feel the most powerless,” Marissa said. “In their words, ‘it was lit’,” she continued, laughing. We are proud that we can help families and individuals purchase quality home goods and other necessities at The Sale. With 21 departments to explore, everyone can find something they need. 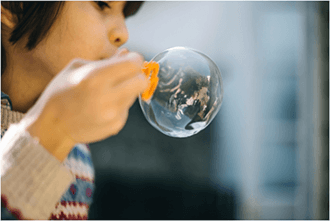 “At The Settlement Home, we strive to positively impact individual lives and the community as a whole. Giving for Living is the perfect way for us to expand our reach in the Austin community.” said Darcie DeShazo, executive director at The Settlement Home. Mia and Marissa also had a couple of tips for organizations and individuals who will participate in the Giving for Living Program this year. “Take advantage of it [the Giving for Living Program], but encourage public transportation or carpooling,” Mia said. The Settlement Home underwrites parking at the Palmer Events Center garage, but parking sometimes fills up. Fortunately, there is a Capital Metro bus stop near Palmer. “Go to The Sale with a rough list in mind of what you’re looking for. 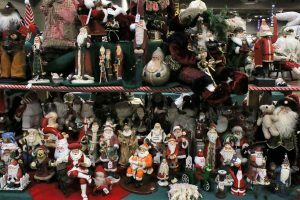 Shopping The Sale can be overwhelming,” Marissa said. We look forward to continuing to serve more families and individuals this November. The Settlement Home for Children, owned by more than 400 women philanthropists who comprise The Settlement Club, accepts donations for The Garage and Estate Sale most Mondays from 9 a.m. to noon. If you would like to underwrite Giving for Living Gift Certificates or sign your organization up to participate in the Giving for Living Program, email [email protected]. Read more about the Giving for Living program here.